Most of you who know me and have followed Riches to Rags by Dori know that I love Essential Oils. I have been using them in my family for a long time now. I have learned how to take care of my family and our health with oils. It is a wonderful feeling when you are able to help your child in the middle of the night with a fever, cough, cold and headache in the comfort of your home with something natural. My kids have learned about the oils and use them when they need them. They are also teaching others about the great benefits of Essential Oils. They believe in them because they have worked for them. When I created Jeddy's Blend (A Natural Alternative for ADHD, ADD, Autism and Anxiety) I started receiving thousands of emails from people all over the world who were desperate for a better way for their children then medication. I share my recipe because I want others to be able to take care of their family the way I have been able to. What I was hearing over and over though was that they couldn't afford to purchase the oils. Some are saving up what they can when their child needs it now. Everyone should have the option to be able to afford Pure Essential Oils. There is an option now that I am happy to be able to share with you. Riches to Rags by Dori name is about my family who lost everything material during the recession. We lost our company, home, cars, etc, and we were suddenly without insurance. That is a scary place to be when you have someone sick in your family and you can't afford to go to the doctors. I wish I had known about essential oils back then so I could have taken better care of my family. There are many people in this position today and this is a wonderful option that is now available for them. I am so excited to be able to tell you about a new company that is offering Certified Pure PharmaGrade Essential Oils called Spark Naturals. I have been using another company for a while which I still love and still use but, I have compared them and they are equal in their quality but for much cheaper. These are good quality oils that I highly recommend and wouldn't share it with you unless I thought they were good enough to use in my own family. Use the code: SPARKY to get an additional 10% off! Spark Naturals products are Certified Pure PharmaGrade -(CPPharmaGrade™) - a physical standard ensuring our products are of the appropriate identity, strength, quality, purity, and consistency – standards used internationally for quality and purity. Our raw materials are tested and authenticated to be of pharmaceutical grade purity. These are a few of my favorite oils. There are so many to choose from but if I were to pick three these would be the first. With allergy season upon us these can be your new best friend. This triple threat creates a natural antihistamine. Here are a few protocols that you can use to treat allergy symptoms when they start. This is also safe for children. 1. Put 3 drops ea. of Lavender, Lemon and Peppermint in a gelatin capsule. If you're not feeling relief in a 20 min. period, do it again. 2. Rub the same combination of oils on your feet, then cup your hands under your nose and inhale the oils that remain on your hands. I do this on my kids. 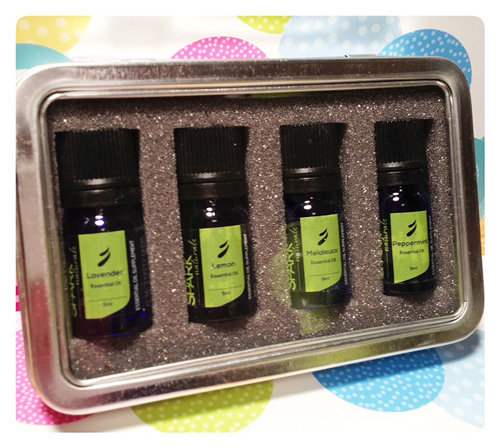 I am very excited to do this Giveaway so you can see yourself how wonderful these oils are. I will be giving away TWO ESSENTIAL FOUR PACKS! Includes - Lemon, Lavender, Peppermint and a Bonus! Melaleuca. Comes in a cute little tin. Leave a comment on this post about how Essential Oils have helped you or what you would like help with. "LIKE" Riches to Rags by Dori on Facebook and leave a separate comment that you did. "LIKE" Spark Naturals on Facebook and leave a separate comment that you did. Tell that them Riches to Rags by Dori sent you! Contest closes on Tuesday at 11:59pm MST. I'm really hoping this will work for my husband's allergies. he has just about the worst allergies ever and it is hard for him to even function during this time! I like Spark Naturals on FB!! I like you on FB (and have for quite some time) - Lavendar has really helped both my littles with sleeping comfortably! Essential Oils have helped our dog with bad gum problems :) also with itching, deodorant and much more! Essential Oils have really helped my 3 yr old be much more enjoyable to be around. Thank you Jeddy's blend. I am now a believer of EO's and trying to incorporate them into every aspect of our lives. I liked Spark Naturals on Facebook and told them Riches to Rags by Dori sent me. My dad had a skin graft on his head that is not "taking" in some places; would love to know if EOs can somehow help with this? I can't wait to replaceallwrgy meds with essential oils! I want this 4 pk! I have headaches often and would love to have some Peppermint and Lavendar! 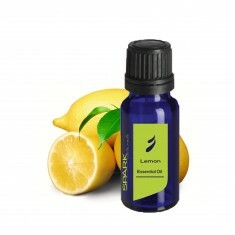 I "liked" Spark Naturals on Facebook! I "liked" Riches to Rags on Facebook! I have seen many homemade recipes, such as dishwasher liquid and laundry detergent, that require these oils that I would like to give a whirl! I saw other comments about these helping allergies of which my fiance has so that would benefit as well! Liked you and Spark Naturals. I love LLP! I diffuse it almost every day at work and my co-workers love me for it. In fact, they WANT me to diffuse it. :-) Isn't that just wonderful!! I love essential oils and I'm excited to learn about this new brand. 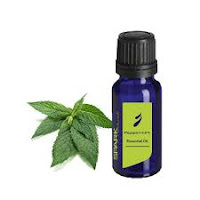 I don't have as many oils as I would like, as it's hard to fit them into our tight budget... We love peppermint oil for helping our 2 year old and 6 month old breathe more easily at night when they are congested. It also helps my husband with his snoring, which helps me get more sleep! And don't get me started on Lavendar... that's my go-to oil for lots of things around the house!!! I liked spark Naturals on FB. I liked Rags to Riches on facebook. I hope I win. I've never tried any essential oil but I've heard a lot about them. Truthfully if I can try them for free and love them then I would love that! Who has ever bought something and regretted it? So I hope I win. I want to use it in my homemade purex crystals. :) howtotrainasuperhero.com Thanks! I would use essential oils for my husband's allergies, my headaches, to calm the dog during thunder storms and ease his itching. I have been using eos for headaches and for sleeping. Love eos. I would love to win! We are without ins. and I would love to learn more. Saw a post about a healing salve and was just looking yesterday at this pack to make for my daughter who has eczema. With baby number 5 due any day, I think this would be very beneficial for future sicknesses. Liked you on Facebook. Thanks for a chance to win. I have been interested in starting to use esencial oils for a while, but just haven't been able to find some I can afford. Spark Naturals seem to be perfect and I'd love to try them out!! I "liked" Riches to Rags by Dori on Facebook. I "liked" Spark Naturals on Facebook. Liked Spark naturals on Facebook. I use lavender and Melaleuca in my homemade cleaning supplies. Love no chemicals in my house! Liked Spark Naturals on FB. I just am getting into essential oils and am so excited to try them for my husband's allergies and asthma! He's on massive steroids daily, so hope that he will be able to back off of them somewhat with the EO. Love Dori and SN on FB - learning so much! Thank you for all of the info! I've been using the Breathe blend for my CF and asthma. My husband and I have been using lavendar to sleep. I have been using EO's to control my fibromyalgia. I've been constantly tired and in pain for 16 years and I have managed to almost completely rid myself of pain using oils and other natural remedies. I have been using doTerra and will probably continue to use them, but I love the fact that I have another option that is just as good and cheaper. I am looking forward to trying this brand. I just used eucalyptus and peppermint eo's in a vitamin e cream on my sore neck, felt very soothing! I like spark naturals on FB. I would really like to help my grandkids with seasonal or pet allergies. I'm a believer...now to get them on-board. I liked you, Rags to riches a while back on FB. I want all the good info you can share, thanks much. For myself, I would like to try oils to help me sleep, be less anxious and have more energy and for my husband I would LOVE to try Jeddy's Blend as he has ADHD and Asperger's ( high functioning ). The ADHD meds became too expensive. He liked how they helped him "focus" so I'd love to try the blend for him. Will "like" your FB page and Spark Natural's....thanks for the chance to win! I already liked you a while ago on FB when I found you via Camp Wander. Liked Spark Naturals on FB! Thanks for the chance to win! I have learned so much about EO's this past year--Peppermint oil on my head/neck for a headache/migraine; Lavender diffused in my sons room to help him sleep at night(He has ADHD and is on the Autism Spectrum); Peppermint Oil in water for acid reflux or heartburn...so many thing! I have used peppermint essential oil for headache relief. I am suffering terribly with arthritis. Docs have tried everything to bring down the inflammation to help with pain. I've been researching EO's. I need help. Finances are a factor. I love to use lemon for detoxing. Lavendar helps shorten my little one's fits and calm down quickly. I love EO's. Thanks for a chance to win! You are a great teacher and I thank you! 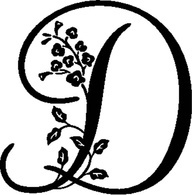 I hope to help my family with seasonal and pet allergies. I'm excited to try Spark Naturals with my family. My husband suffers from allergies. Thanks for the opportunity. I love peppermint for belly aches! the kids will roll on my peppermint belly balm for "blurpy" tummies! I Like you on FB, I'm using my attempt at Jeddy's blend to make homework time easier in my house! I like Spark Naturals on FB. It's good to have certified options without all the extra costs! We use lavender essential oil on our pillows to help sleep. Liked Spark Natural's page on FB. I've got into using essential oils in my last semester as an undergrad, and they have helped me with my anxiety and Misophonia! I use Lemon, Lavender, and Peppermint in many of my recipes! I like Riches to Rags by Dori on Facebook. I liked Spark Naturals on Facebook & told them you sent me! I've never used essential oils before, this would be a great chance to try them! I'd like help anxiety/panic attacks. I liked Spark naturals on F.B. I've been using eo's for a while now. I love the lavender, lemon & peppermint for allergies! I put it on the bottoms of my feet, rub it on my wrists and neck. I also have been diffusing it. I have stopped taking my Rx medication for allergies and only use eo's now. I use EO's for my daughters instead of ADHD medicine. I also use them for cleaning products. I have 2 sons in the autism spectrum (one also has ADD), and a husband with allergy issues. We are trying to rid our home of chemicals and I have started experimenting with EOs. This would help me on my way. Jillee has helped so much in my quest to go chemical free and also to get into EOs. I would love to be the winner of the giveaway! I am just researching and hoping to start essential oils soon...for allergies first, then other health reasons once I do more research. My goal is to go natural and get off medication. Thanks for the opportunity to win! I am a facebook fan of Spark Naturals. I would like to try essential oils as I never have before and have been doing some reading on how it could really benefit my family. I have had my strep throat cured in three days with no antibiotics and flu gone in 4 days! Everyone else I know with the flu took three weeks to recover this year! Favorite use of EOs is Peppermint for a headache. Diffusing Lavender right now as a sleep aide. Now I just need to get off here and let it do its work! Like Spark Naturals on FB! I love all of the essential oils that I own, but lavender it my favorite. It helps relieve my headaches and adult acne. I liked SParkle Naturals facebook page..
Would love to try this for my anxiety that I've lived with for over 35 years. 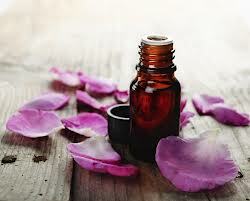 Essential Oils have helped my troubled skin (acne, rashes, you name it...)! I like Spark Naturals on Facebook thanks to you! Nice thing they are doing! EO's are amazing! I love how they lift the mood in my home! I love essential oils. they have helped my daughter and husband with their allergies. Liked Rags to Riches! Can't wait to get to know you! I liked sparks natural on facebook. I am just starting to build my EO collection and would love a more affordable alternative for the more expensive EOs and it looks like SN fits the bill. I am excited to be able to finally get the oils I want to start healing my family better. Thanks for doing this awesome giveaway! I like so many of the oils, really like the lemon in water to start my day, and lavender to ease itch from bug bites. Liked you on FB for quite a while now. I am wanting to try the LLP for allergies....I am VERY allergic to cottonwood trees (with all their fluff and shade) and the home that we moved into a year ago (we rent) comes with 5 cottonwoods....last year was bad enough but I am really wanting to try EOs this year. Essential oils have really helped my life a lot, especially using them in diffusers and in homemade cleaning products. Thanks for the giveaway! I "liked" Riches to Rags by Dori on FB. I have non pharmagrade of these oils and use them, but would love to see what they would do for my allergies by taking a capsule with them and swishing with juice. I am so excited to save up some money and try out this company! I "liked" Spark Naturals on FB and left a comment. I am interested in trying Spark Natural EOs. I have tried others and it would be great to compare them. I liked Riches to Rags by Dori on Facebook. I like Spark Naturals on Facebook and told them you sent me. I liked Spark Naturals too! 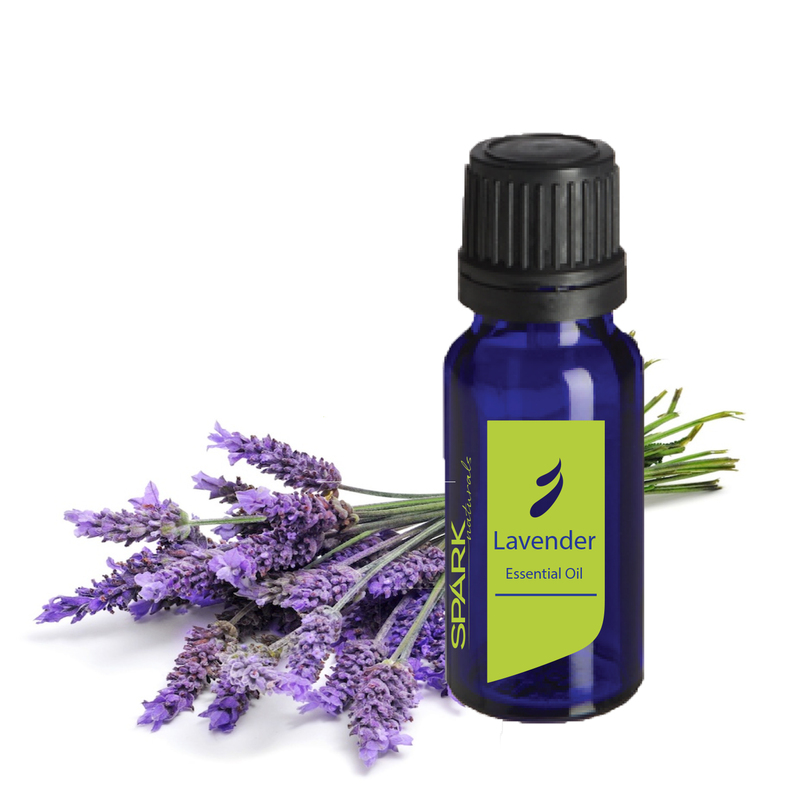 I use a tea tree/lavender eo mix on my face each day mixed with grapeseed oil as a carrier. My face feels wonderful and not oily, it also helps keep the oil at bay. I too am suddenly without insurance due to having to quit my job. My baby became very ill and was in the ICU on life support. Since then, u have used oils for a number of things but most often for staph problems we now have thanks to the hospital, my joint pain, diaper rash, and allergies. I'm working on trying to get a handle on my depression with them too. I really appreciate that you've shared this alternative EO company with us, Dori! (As well as your sister, with her awesome Camp Wander blog!) I am currently unemployed and have a myriad of health issues. I scraped together enough to buy a small tin of "mini" sized oils from Camp Wander and was amazed at how much they helped me!! Knowing about Spark Naturals will allow me to possibly afford some EOs and, thus, cut down on my medical expenses. So from the bottom of my heart I say THANK YOU!! I follow you/like you on Facebook. I follow/like Spark Naturals on Facebook. I liked Spark Naturals on fb. Can't wait to try them out. Essential oils have worked wonders for my 4 children's headaches, stomach aches and sore muscles and allergies. While there is a long list of other things more serious they have helped with, these are my favorite every day kind of things that would normally go untreated, and just ruin the mood in the household. Liked Spark Naturals on FB! What I want to make the most is more recipes with ones like Sandalwood and Jasmine! I use peppermint, lemon and lavender in a lot of things so I run out quickly! I liked Riches to Rags by Dori facebook. I liked Spark Naturals facebook. 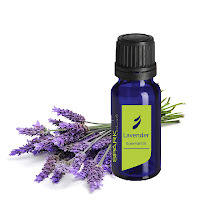 I have used essential oils in the past when my kids were little, lavender.... to help them have lovely sleep. I am in quite a bit of distress lately and could use essential oils in a variety of ways. I've been using EO's throughout my house and for personal care (clove EO works wonderfully for tooth ache!) - but my VERY favorite story is how Oregano oil was an almost-instant pain reliever for a bad case of shingles I had in Feb. Topically applying oregano oil completely cut the pain for anywhere from 3-6 hrs at a time (depending on how severe the pain was). With the oregano oil, mega doses of Vit C and a high lysine diet, I was on the mend within a week, and symptom free by the end of 2 wks. I've liked Riches to Rags on FB. I've liked Sparks Naturals on FB. Use them for sleep issues. Need some stronger combo's though. Still waking up. I see by your heading that you like thrifting. My favorite thing to do. Oh my goodness, I would love nothing more than to try these oils. I have used peppermint for headaches before and it works wonderful. Wow that was a lot of posts. I started reading your post a short time ago and have really enjoyed them. Here is to hopeing you pick me so I can try out this wonderful oils. Liked Riches to Rags on FB! I like to use EOs to help with my son's teenage acne, with keeping allergies at bay, and to make homemade cleaners. They are awesome! I can't even begin to tell you all the things I have been using EOs for lately! I have made myself an entire 'recipe book'! How many health, home made body care, you name it!! Thank you so much for sharing your knowledge!!! Am enlightening my niece to the benefits of these oils. A single mom who is bipolar with an son who has Autism. I would love for you to send her the oils. THanks for your help and keep sharing...we DO listen. Now following you on FB, love your site!! Liked Sparks, can't wait to try them!! I liked Riches to Rags on FB - TY & Happy Trails! I have also liked Spark Naturals on FB - TY & Happy Trails - again! Love lavender and am beginning to use lemon and peppermint. I've use melaleuca for several years for cleaning and healing. I recently used peppermint to help my sinuses. Also, my son threw up & I used a combo of things from the family physician kit that I just purchased....I have to go back & write it all down to remember for next time. There was a horrible bug that kids were sick for several days throwing up many many times. My son only threw up twice in 24 hours & I really thing it was bc of the oils. Others in the house did not get sick probably bc of the on guard we used. Just started using essentially oils. I love the Clary sage for night sweats, ordered the SN mother's day gift pack. Can't wait to get it! EO's have changed my life, but I am finding them a bit expensive and would love to try another brand that is just as good but less. Currently I make my own "theives" oil for my hubby...he is having some tooth pain and the oil blend really works.